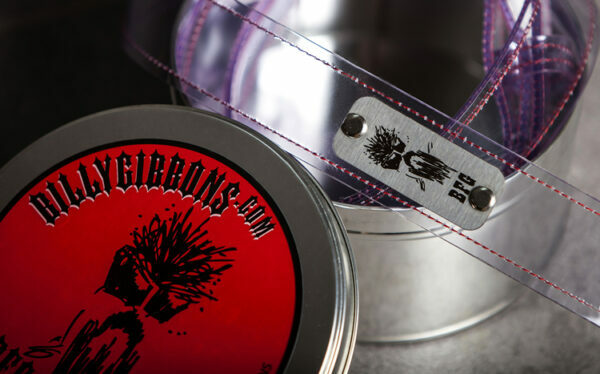 This unique strap is 1.5 inches wide and fabricated from a durable clear vinyl, outlined in white and red saddle stitching and outfitted with an adjustable, stainless steel roller buckle. The strap is assembled with high quality Chicago screws. 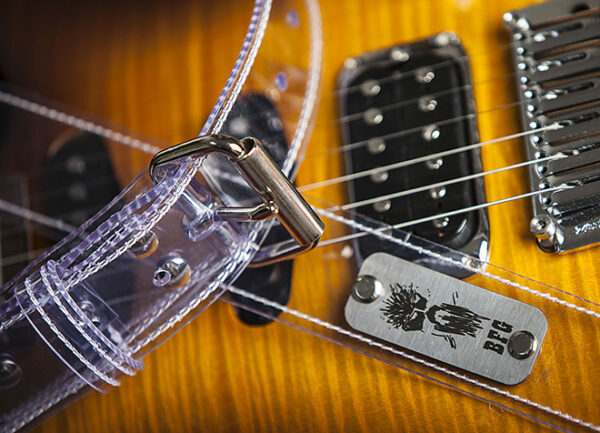 This is a hand crafted strap made with pride in the USA. 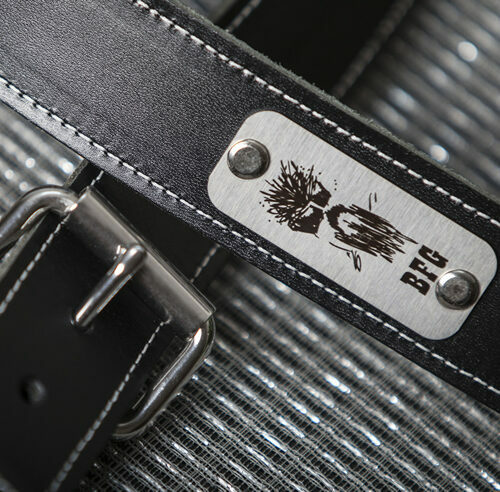 Each of these straps has a special identification stainless steel badge laser engraved with BFG’s personal caricature. The strap is delivered in a sturdy steel can for protection and storage.